. . . located on the shores of Lake Atitlan, a crater lake in the Guatemalan highlands that has been called “the most beautiful lake in the world” by Huxley and Humboldt. Tzununa/San Marcos La Laguna are Mayan villages next to each other, known as the ‘yoga capital of Central America’ with a laid-back atmosphere and incredible views of the lake’s three volcanoes. 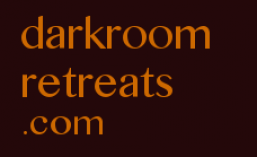 An experienced darkroom retreater, Andrew has built a dark retreat dome in guatemala, given talks on darkroom retreating, facilitated 18 retreats for 18 people guatemala, and for other retreaters in Sweden, Norway, and Spain. This seemingly trivial contrast can lead to a remarkable and lasting restoration of your well-being, making the darkroom a powerful tool. The book explains why a retreat works, how to do it, and how to make a darkroom. It includes detailed instructions to attain these effects in your own home. Neither spiritual nor disciplined, therapeutic nor medicinal, this is the first approach to darkness—and psychology—based on hygiene. Not just cleanliness, hygiene remains history’s most influential approach to health. Hygiene gave the modern world appreciation for the self-preserving nature of life and all its normal conditions, eg, fresh air, ample sleep, pure food, regular exercise and bathing, etc. Ananda Bosman is indeed a Renaissance man. He has worked and experimented in many fields since a teenager. Among many innovations, he pioneered harmonic music [listen at the end of this post]. In 1992 Ananda developed a neorotransmitter theory by which endogenous pineal gland neurotransmitters that were psychoactive would be activated thru complete light isolation called Dark Room Retreats & D.R. Inner Light. Hundreds of pilots were brought through these tests, a majority with high psychedelic experiences. Everyone has had a moment of rapture, when the world appears perfect and beautiful and every breath is sublime. Rather than rarities or even delusions, what if these were moments of lucidity – clear awareness of the world as it is? What if this awareness could be restored without strife (enormous, difficult, and painful effort) by simply resting for several days in absolute darkness? What if the sheer insanity of our lives in this culture is, at root, simply an illness that could automatically heal under the proper conditions? Last week we posted an interview with Chantal Spieard who recently Darkness Retreat underwent. Her experience made us so curious that we – before we plunge ourselves into the dark room – recommended going to psychologist Susie Retera . To her the question: What does a hermetically sealed space with your psyche? It’s quite a bit, a few days camping out in a space that is sealed off from light and sound. “We are accustomed to many impulses. Our senses help us interpret these stimuli and thus give meaning to the environment. But our senses can also distract us from the inner world: our emotions, thoughts and memories. The constant flow of information to process our senses in the modern world, that makes our brains and nervous systems are almost always active. Also ensures our focus on the five senses sure we are often less aware of subtle forms of perception, “so says Suze. Stays in the Dark, Kutna Hora, Czech R.
This facility is situated in the township of Kutna Hora, Lomec, Úmonín, Czech Rebuplic. according to this Czech website, you can pay for the retreat in bitcoin. “. . . . set out towards Kutná Hora for dark therapy. You don’t need to have cash on you, because you can pay in bitcoins . . . .”. From what i can glean from the net, Stepanka Trenz founded this facility. There are various managers, among them Thomas and Lenča. The facility website http://www.lecba-tmou.cz is here. Facebook page is here. The shrine is located on a hectare of land in the middle set in a hamlet with 60 inhabitants, where 50 meters away, you will find our wooden house (currently July 2014, a building). The nearest road is 200 meters from the shrine and also the only garden, fields and forests.